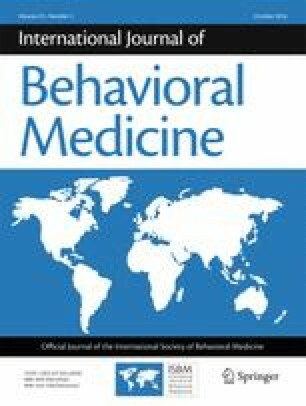 The definition of psychosomatic medicine is not consistent across countries. The study purpose was to clarify the applicability of the definition of psychosomatic illness issued by the Japanese Society of Psychosomatic Medicine to different types of referral in a university hospital. The sample consisted of 1067 outpatients visiting a psychosomatic clinic. Participants completed questionnaires to assess degrees of somatization, depression, anxiety, and psychosocial stress after completing clinical interviews based on the Diagnostic and Statistical Manual, Fourth Edition, Text Revision. All subjects were classified into psychosomatic and non-psychosomatic groups, and the non-psychosomatic group was further divided into three additional groups: depression, anxiety, and other. In total, 398 (37 %) of the subjects were placed in the psychosomatic group. The percentage of the psychosomatic group was 46 % in those referred within the hospital, 37 % in those referred outside the hospital, and 28 % in those without referral from physicians. Concerning the non-psychosomatic group, 269 (25 %) were placed in the depression group, 229 (22 %) in the anxiety group, and 171 (16 %) in the other group. Membership in the psychosomatic group was positively associated with age and the severity of somatosensory amplification (both p < 0.05), but negatively associated with the severity of depression and anxiety as well as the classification of non-referral (all p < 0.05). Although patients with psychiatric disorders, including depressive and anxiety disorders, are frequently seen in the Japanese psychosomatic clinic, patients who are diagnosed with psychosomatic illnesses tend to have been referred by physicians within the hospital. The concept of psychosomatic medicine needs to be further developed to assist both clinical practitioners and patients. We thank the staff in the Department of Psychosomatic Medicine, Teikyo University Hospital for data collection. All procedures were consistent with the ethical standards of the responsible committees on human experimentation (institutional and national) and with the Helsinki Declaration of 1975, as revised in 2000. Informed consent was obtained from all patients included in the study. The first author, Mutsuhiro Nakao, has no conflict of interests. The second author, Takeaki Takeuchi, has no conflict of interests.